​Save your Space Now! This Meet Fills to Capacity Each Season!! ​IF YOU HAVE SAVED YOUR SPACE OR PRE-REGISTERED, PLEASE SEND YOUR ROSTERS AS SOON AS POSSIBLE. From all of us, to all of you, Thanks for making the 2018 HHII a WEEKEND TO REMEMBER! New SafeSport Rules have strict guidelines about posting gymnasts photos online. Please contact Shelley Photography directly for a secure link to view your gymnasts photographs from this event. 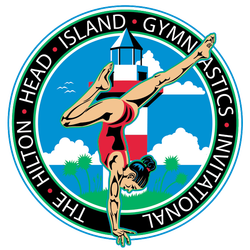 You are cordially invited to the 16th Annual Hilton Head Island Invitational, hosted by Rockdale Gymnastics, Cheerleading and Dance, Inc. 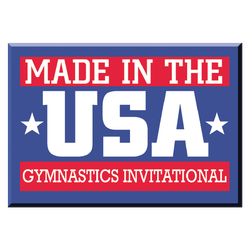 The competition will be held at the stunning world-class, Marriott Beach Resort and Spa located oceanfront on Hilton Head Island, South Carolina. This is an event not to be missed. 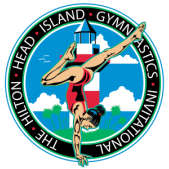 It is the intersection of Gymnastics with a World Class Resort's fun, whimsy and relaxation! Reminiscent of bygone days and eras, Hilton Head Island and the Hilton Head Island Invitational is sure to fill you with wonder while lifting your spirits. Hilton Head Island is an upscale family-friendly island with lots of fun activities for everyone. Besides the great competition, there are miles of beaches (you may see a dolphin! ), world-class golf courses, tennis facilities, great fishing, bike trails, horseback riding, kayak rentals, golf cart and segway rentals, wonderful shopping, great restaurants and special activities for the gymnasts. The competition site is conveniently located in the ballroom of the resort. Limitless activities and opportunities are located within the resort property; once you arrive, you will not want to leave. In addition to the meet itself, there are restaurants, shops, indoor and outdoor pools, a fitness center, bike and kayak rentals, plus miles and miles of beach! 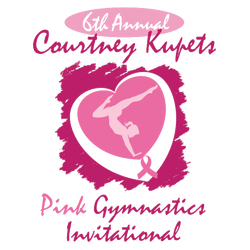 Each season we host over 1000 gymnasts from around the US. We expect the meet will fill quickly again. So, join the fun! Come relax at a first-class competition with a vacation-like atmosphere!! !